The Best Rate Guarantee Blog offers a $50 off a $350 Orbitz(.com) hotel purchase with code RMNORBITZ350. Valid for any hotels that are promo code eligible. Book a qualifying hotel between April 15, 2013 12:01AM (CST) and May 15, 2013 11:59PM (CST), for $350 or more for travel between April 15, 2013 and June 30, 2013 via Orbitz and instantly receive $50 off your booking through the use of the promotion code. Limit one discount per hotel room and one promotion code per booking. 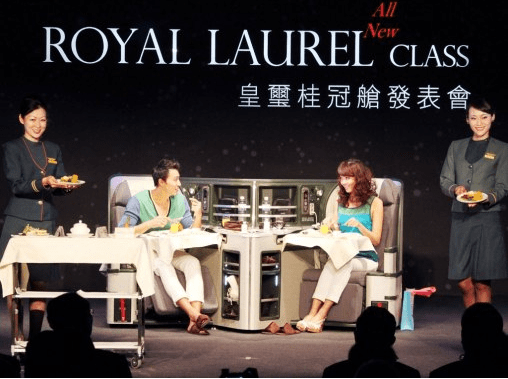 EVA has a seat a date to join Star Alliance, which is June 18. They have reverse herringbone on some TPAC routes, and One Mile at A Time talks about how to find EVA space on UA because they already have a partnership. Hopefully they’ll have good award space and no fuel surcharges on Aeroplan! View from the Wing says the 787’s are coming back! Here is an article from the NYT about it. I have yet to fly on a 787, hopefully I can get that done soon! Airline Route has posted the potential schedule for the 787. Some of the noteworthy routes include ANA, JAL and Qatar. Hopefully QR will join OW soon and have another error, I’m a bit miffed having missed the MH one! Award space in economy and business looks okay with JAL, with alternating periods of good award space and not-so-good award space. BOS doesn’t seem to have very good space. Unfortunately I think business class is angled flat. ANA doesn’t seem to have released award space yet but I will keep you posted on that. Hotel Tonight is also giving away up to a 14% rebate on hotel bookings in April. Use promo code APRILBONUS. Their prices are not bad for day of hotel bookings, and Just Another Points Traveller says that she has received elite benefits, and stay credits with chain hotels so it’s definitely an option to consider along with RocketMiles and PointsHound. Fine print here. 1) Open the app right now and enter promo code APRILBONUS. You’re set to save for the rest of the month. No need to enter the code again. 2) When you’re ready for a great night out / weekend away / staycation / etc., load up the app again, find an amazing hotel and just book it. Nights don’t have to be consecutive. If you already booked earlier today (April 19), that booking counts towards your total. 3) The credits will show up in your account by May 3rd. 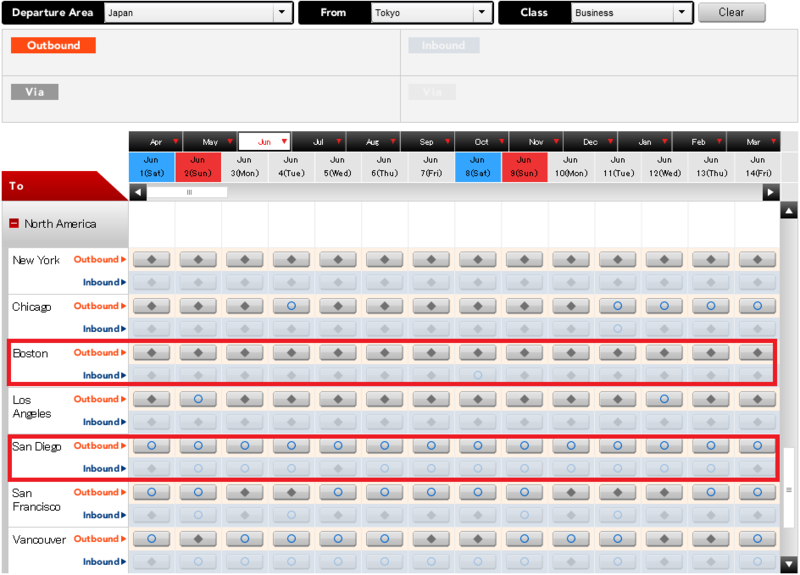 Air Berlin which is retrofitting its aircraft with new full-flat business class (like Etihad’s) is flying the few aircraft with the new seats on the DUS-JFK routes on select days in July, although seat maps could change. 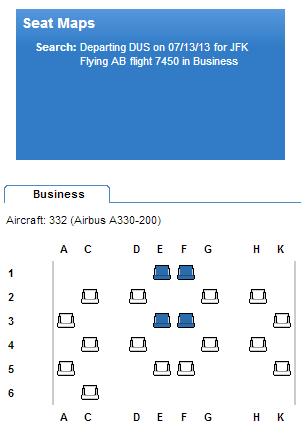 At this moment it doesn’t look like there is going to be any award space but if there are some seats that do open up then it is a very good option for BA Avios at 40k OW without surcharges and possibly chauffeur service too.